UBI Global has ranked the McGill Dobson Centre for Entrepreneurship #8 in the category of World Top Business Incubator - Managed by a University. The McGill Dobson Centre for Entrepreneurship is the hub of entrepreneurial activity at McGill University. Our mission is to find, teach, and develop world-class entrepreneurs at McGill. We support our students, faculty, and alumni through tailored education, applied entrepreneurial frameworks, and iterative mentorship. 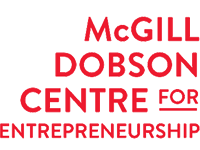 The McGill Dobson Centre for Entrepreneurship was established in 1988 thanks to a generous contribution from the John Dobson Foundation. The Foundation has continued to offer financial support to advance our efforts including a $2 million gift to support the McGill X-1 Accelerator as it grows its efforts to nurture innovation and entrepreneurship at McGill. Our entrepreneurship programs are supported by a strong McGill Entrepreneur, Alumni, and Startup Mentorship Network.